If you are looking for an elegant venue to celebrate New Year’s Eve in Galway City, the stylish surroundings, live music and electric atmosphere of our newly opened Hyde Bar & Gin Parlour, provide the perfect backdrop for your New Years Eve in Galway. Bring together family and friends and let the stylish surroundings of Hyde Bar & Gin Parlour be the backdrop to a night to remember. Newly, refurbished and with a choice of double, twin and triple rooms available, the Forster Court Hotel is the perfect accommodation option in Galway City. Our city centre location, just off Eyre Square with Christmas Markets, make Hyde Bar & Gin Parlour the most stylish meeting place for a festive get-together with friends & colleagues! 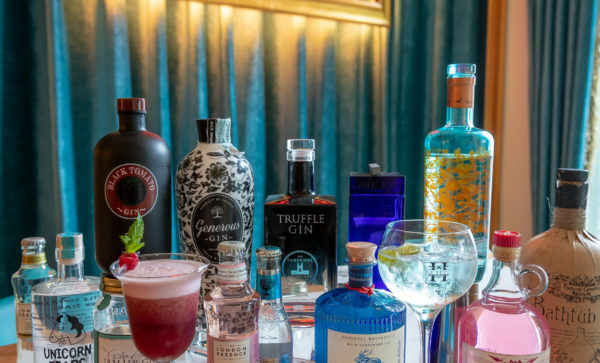 With Irelands largest gin collection, a superb array of wines from around the world and mouthwatering cocktails, why not treat yourself and join us for a drink today! Group dining options in private and semi-private. Contact us today to tailor a celebration to your liking.